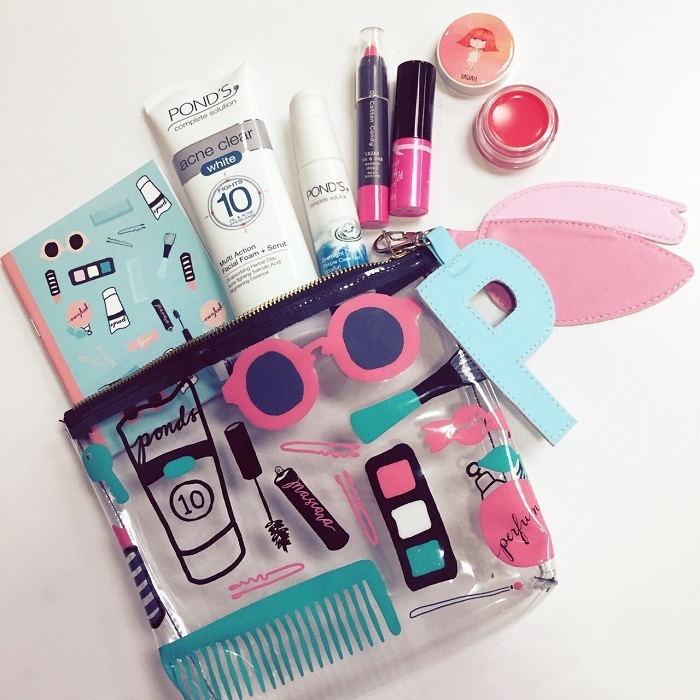 Doodle pad, lippies, and Pond's Acne Clear in a Neon Island pouch -- what's a gal not to love? Thankfully for gen Y, reliable cure is readily available today. Unlike regular soaps, which only superficially cleanses the surface of the skin, Pond’s Acne Clear White Face Scrub has micro scrub beads that work hard to fight oil and pimples. The secret to helping teen girls stay acne-free? It has the Pond’s Institute’s pimple-fighting salicylic acid that removes 99% of acne bacteria, as well as oil-absorbing herbal clay that removes excess oil, redness and blemishes. 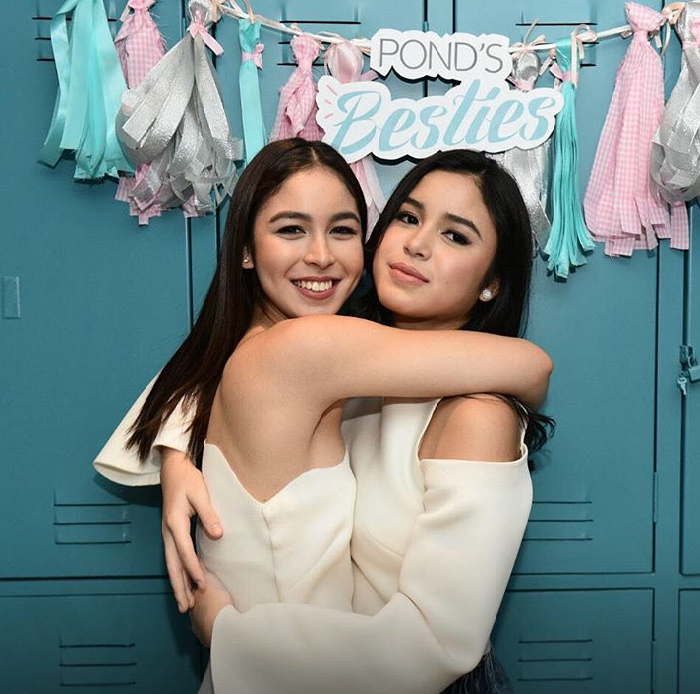 To spread the word about this best-selling teen product, Pond’s launched the #PondsBesties campaign – a movement to educate teens on how to get #AcneClearSkin. 200 student ambassadors and #PondsBesties from top high schools and universities shared their beautiful stories of transformation to inspire millions of teens to start achieving #AcneClearSkin. I was invited to the Ponds Besties soiree with these teen queens hanging out with their respective besties together with the 3-year Pond's Girl and her real life bestie. 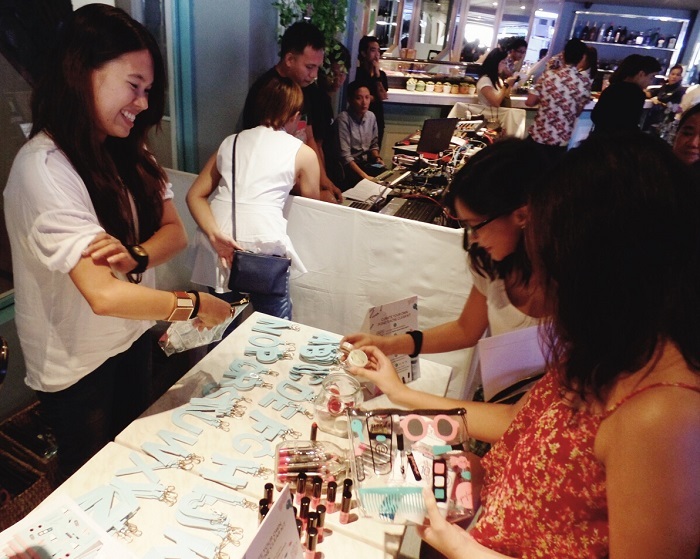 Checkout these snaps from yesterday's soiree! Immaculately, Pond's Girl Julia Barretto shared with the audience her Pond’s Acne Clear White experience, as she helped the Pond's team announce the latest Pond's Girl -- her bestie and sister: Claudia Barretto! Is it just me or does Claudia look like Selena Gomez? :) In case you're wondering if it's true or otherwise: yes, the Barretto sisters have acne clear skin and are both super pretty. Definitely no Photoshop nor filters required! Have you tried the Pond’s Acne Clear White Face Scrub and Overnight Pimple Care Gel? Were they effective in treating your acne problems? I'd love to hear them below! 2 comments on "Get Acne Clear Skin From Pond's"
The pouch is really cute!Pretty Barretto sisters Kainggit!How I wish to achieve their skin. I have tried ponds acne face scrub nung nirelease nila to sa market. Last year yata. As far as I remember, it was good naman. Upon using it di naman ako nagkabreakouts but a bit drying on the skin.